Upgrading the countertops will revitalize your kitchen and boost home value. Whether you’re purchasing granite, quartz, or another product, you want to be confident it fits with your kitchen’s color scheme. These materials are highly customizable and allow plenty of design freedom. To ensure the best results, use the tips below to select the right color for your kitchen. It’s easy to get a solid idea of potential colors, and when you visit a showroom, you may be tempted to make a purchase on the spot. Wait and return home with samples instead. You can compare them with cabinetry, wall paint, and flooring, see how the light plays off of them, and get the most accurate idea of what the countertops will look like once installed. You will also have more time to think about the decision. Do you want to create a warm, welcoming kitchen with cream flooring and rich dark wood cabinets? Fit the countertop color into this vision. In most cases, a gray or neutral-toned color is best. If you want something more rustic and have vibrant-colored cabinets and hardwood floors, explore darker countertop options to balance everything out. Know what your design goals are for the entire kitchen remodeling project to ensure you stay on track with countertop colors. 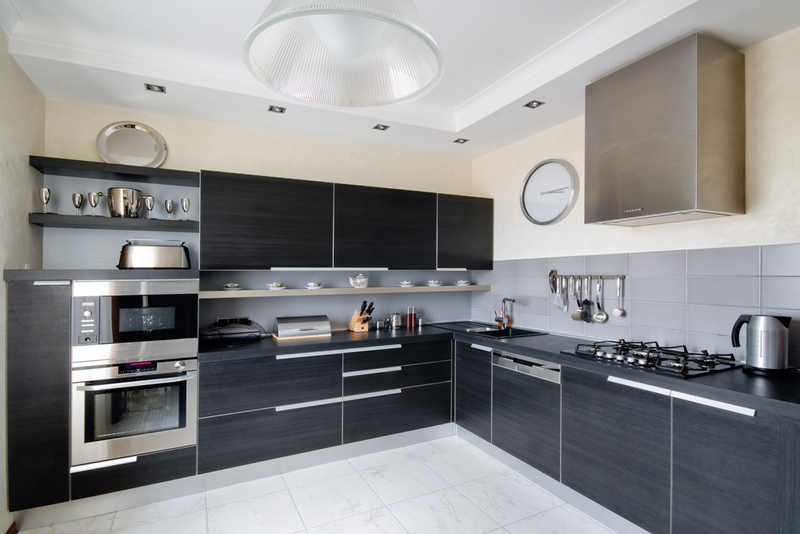 Generally, a kitchen will have two dominant colors, such as white and beige, and one accent color, such as black. A countertop color may look beautiful under bright showroom lighting; however, it may look less-than-desirable under your preferred lighting once the kitchen remodeling project is done. Countertops can be glossy, so gauge how the color will look. Generally, lighter white and gold ones are best under bright artificial or natural lighting. Darker brown or blue countertops look ideal under minimal light. If you’re exploring countertops, stop by Valley Design Center. Located in Manhattan’s Midtown East neighborhood, they carry a wide selection of premium home enhancements in their showroom. For over 20 years, they’ve worked with industry-leading brands like Kraftmaid® and Toto®, and you’ll find a number of appliances, cabinets, flooring, and more to choose from. Call (212) 832-4200 to speak with a representative and visit their website to explore their inventory.